On Friday I received the promos for the FdM May releases. 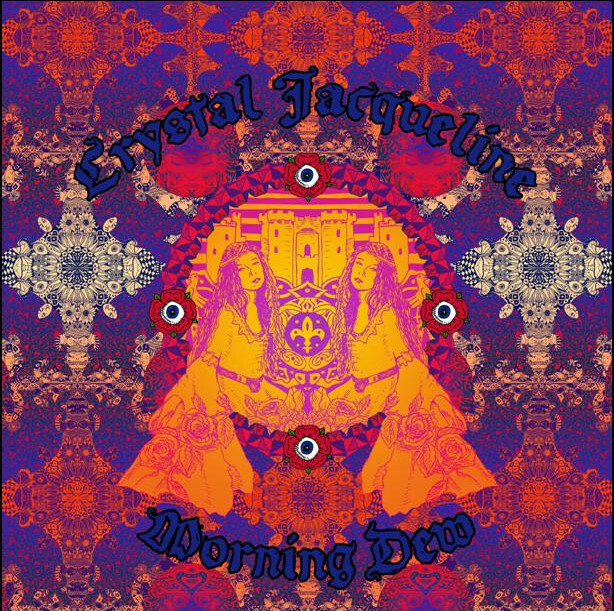 Normally I treat my review queue as First In / First Out, but being a fan of Crystal Jacqueline, I just had to listen to her new EP immediately, and the music is so outstanding I wanted to review it while I was still basking in its glow. Crystal Jacqueline and Icarus Peel recorded four tracks that are sure to compliment the new Honey Pot releases on Mega Dodo earlier this year. The disc opens with one of my favorite 60s songs recorded by the Grateful Dead, “Morning Dew.” They breathe new life into this song, imbuing it with their goth-psych treatment. The second track is an original Icarus Peel song “Ivy.” This dreamy song could have been part of the studio side of Ummagumma, but is just too short in my opinion. Side two opens with a cover of Joe Byrd and the Field Hippies’ “Moonsong: Pelog.” Gongs, cymbals, reverbed vocals, and tasteful electronics combine into one exquisite and beautifully sung cover. The disc closes with another favorite of mine, The Jaynetts’ “Sally Go ‘Round the Roses.” I’ve listened to Tim Buckley’s and Grace Slick and The Great Society’s versions for the last 40 - 50 years and neither prepares you for Crystal Jacqueline’s outstanding performance and gothic psych reinterpretation. In order to accommodate the near 16 minutes of music, FdM decided to cut the EP at 33 1/3 RPM instead of their usual 45 RPM. So be forewarned that you don’t play it at the wrong speed. That reminds me of a friend in college in the late 60s who thought that Jimi Hendrix was awful because he played the album at 45 RPM by mistake.